Last weekend, I was horrified when I discovered a slight soreness in my throat. Usually, for me at least, a sore throat is a precursor to a full-blown flu / cough cold. Having really important meetings to attend the following week, I thought it was absolutely vital that I should banish away the sickness and stop the sore throat from growing into something bigger. 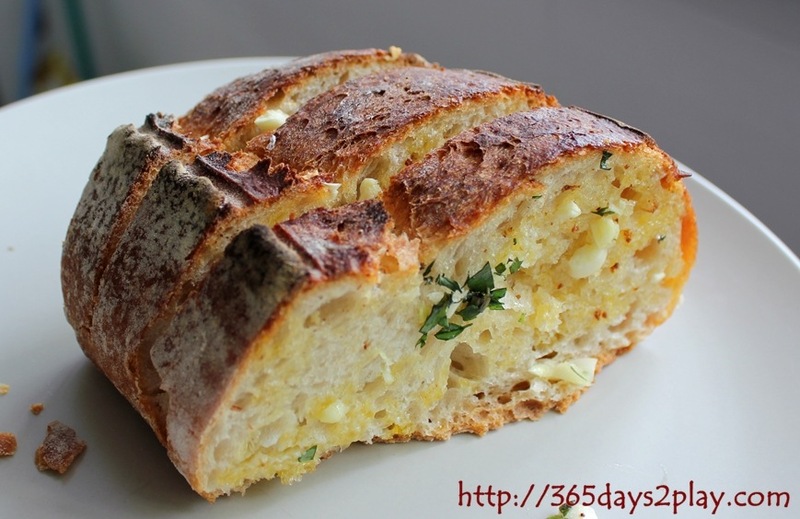 The Partner suggested having Garlic bread for lunch that day. At first, I said no, because garlic bread is “heaty” right? But then again, garlic is supposed to be really good at helping to fight off infection. Torn between wanting to actually eat tasty garlic bread which might potentially actually be beneficial, and fearing that it would accelerate the cold, I decided that we should only half toast the bread, so it would only be half as “heaty”…. 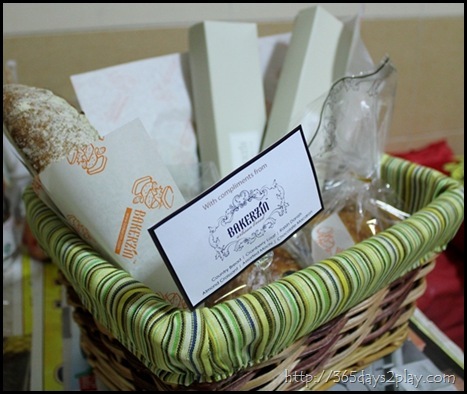 Remember the lovely gift basket we got from Bakerzin? 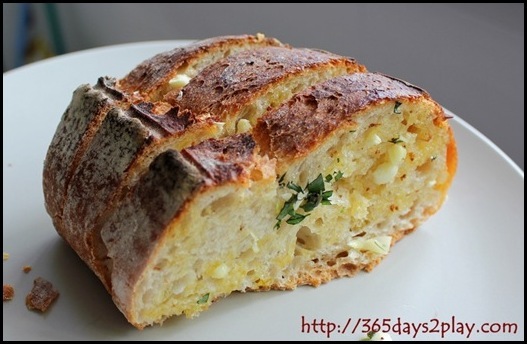 We froze the bread when we first got it, and used it for the garlic bread. It’s so simple and healthy actually. First slice the bread, then apply a liberal amount of butter onto each slice. This is for taste as well as for the garlic bits to stick on. Next, dice some garlic, as much as you can possibly tolerate. The more the merrier. Sprinkle them onto the buttered side of the bread (obviously) and chuck the whole tray into the oven. In about 5 – 10 minutes, you have a lovely and healthy snack! We sprinkled some herbs we had handy around, and it was a delicious lunch. And yes, I managed to get through the entire week without a single sniffle, although my throat still feels somewhat sore even till today, though nothing like the full blown thing. Garlic bread is one of my comfort foods 🙂 Hope you feel better soon. The flu is like the most uncomfortable illness to get. I think it worked! I’ve fully recovered now! Thanks!